Merry Christmas my Crafty Friends!!!! 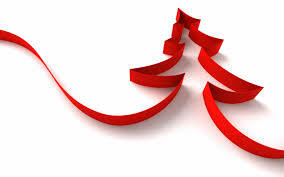 Hope you all had a wonderful day...filled with gifts, fun and laughter!!! My last two weeks were crazy busy... I usually host a Chrsitmas Eve dinner for my friends, it went very well, we all had a lot of fun!! Crafty wise..its an AWESOME year..YAY!!! You all will see lots of crafty goodness on my blog in 2015. I also did a fun thing this year ...after 13 years and first time in this Country I worked in the Retail industry , part time just for the Holidays. My daily scheduled got lot busier but I enjoyed working....bought gifts for all my friends and family with my little earnings....fun, fun, fun!! That was all about my 2014 so far....hope you all had a great year too!! Wish you all a very Happy 2015!!!! Congratulations Becca!! I'll email you today!! I'm a Doodlebug Designs' DT member now...YAY!!!! I applied for the DT call...and I got selected...I'm over the moon excited!!! Can't wait to share all the cute DB products & projects with you. Meet all the new DB2015 DT members...HERE. I used fabulous Doodlebug papers& rhinestones for this project. The snowflake dies are from Avery Elle. The cute tree die is from Reverse Confetti!!! Addicted to Stamps - Snowflakes. Pile It On - Anything goes Christmas. Hubby is getting me a DSLR camera for Christmas ...can't wait to use it!! I really wish to take better pics of my projects. Here is another cute holiday project. I love great gift packaging...I think its as important as the gift inside. I made the box using We R Memory Keepers envelope punch board. The dies are from Papertrey Ink Market It kit. The Crazy Challenge - Christmas. My Craft Spot - Bags/boxes. First of all I apologize for the delay in announcement of WCMD 2104 Blog Hop winners. Please email me at piali(dot) biswas at Yahoo(dot) com. I'll mail your packages ASAP!!!! Thank you Everyone for all your lovely comments!!!! I used one of the snowman image from Purple Onion Designs- Snowy Trio stamp. I love the cute snowmen!!! The paper is from Bazzill, actually it is a journal card! 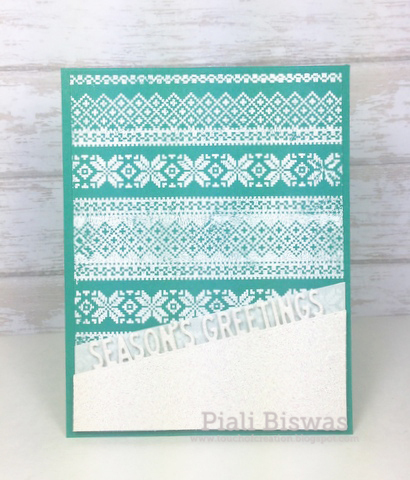 I also added some embossing paste with SSS snowflake stencil. The gorgeous red ribbon is from May Arts...it is one of my favorite. Die Cuttin' Divas: Christmas Carol Inspired. Creative Card Crew : Anything Goes. There is still time to enter for the Coffee Lovers Bloghop giveaway!!! 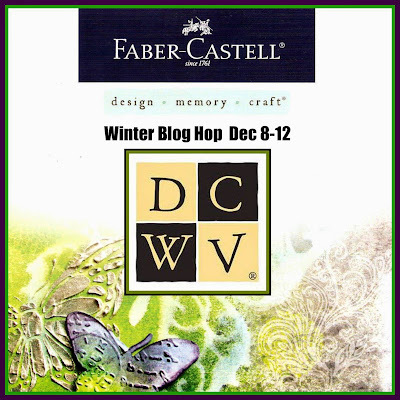 Welcome to DCWV-Faber Castell Winter Blog hop! 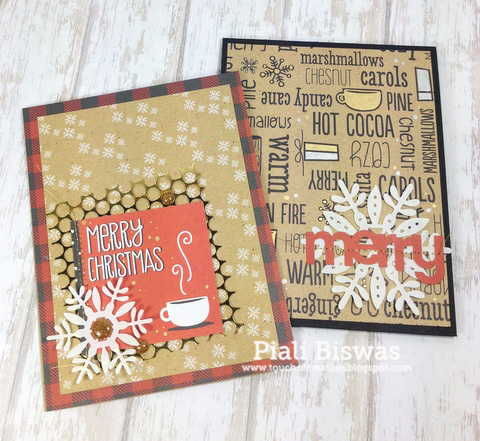 This week we( DCWV DT) have teamed up with Faber-Castell Design Memory Craft®for a joint Blog hop. Chalkboard calender is super fun for my girls as they get write the countdown every morning!! I took a wood block and applied FB- Gesso all over it. Then added FB- Black Chalkboard paint to the front. 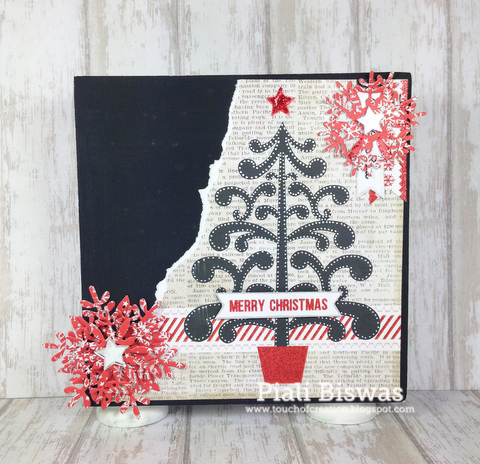 I used beautiful paper from DCWV- Candy Lane Christmas collection, it works perfectly with black chalkboard paint. I also added silver details to the tree using FB-Silver metallic pen. Finally applied FB-glaze over the paper for nice shine. I embellished the project with Snowflake Diecuts and DCWV Mirrored Stars. Crafting for all Seasons - Anything Christmas but a card. Holly Jolly Christmas Challenge Anything goes. Leave a comment here , DCWV Blog and on the Faber-Castell Design Memory Craft® blog to be eligible to win this weeks prizes! 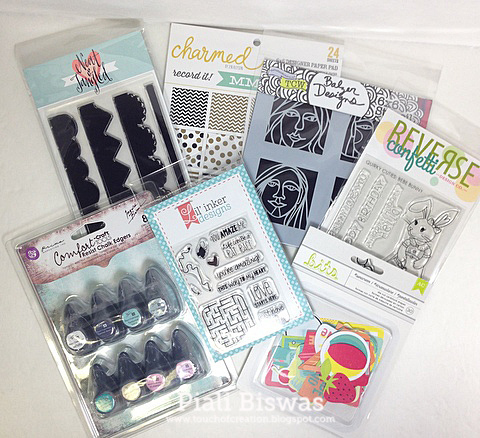 DCWV is giving away THREE Prizes worth $50.00 each in scrapbooking supplies! Hope you all are gearing up for the holidays....I have tons of work left, eek!!!! I slowly finishing up my holiday cards...they all need to postal by this weekend. That's one of my favorite images from new PURPLE ONION DESIGNS release!! She is GRACE( Skating Fox)!! 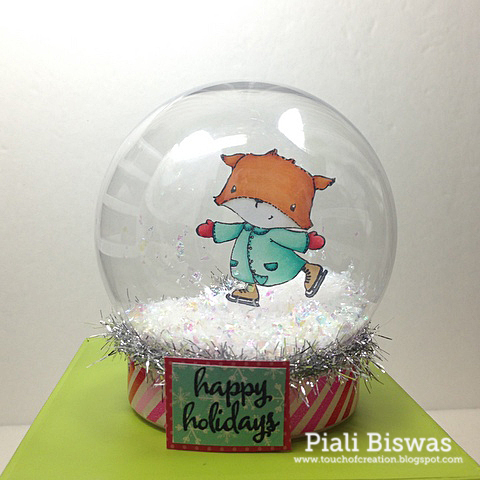 I got this small DIY snowglobe from Michael's , decorated it with washi tape from Doodlebug and some tinsel. Colored my image with Copics and added some faux snow glitter...quick and easy. The sentiment is from POD too. A Random Fan Challenge - Christmas. Purple Onion Designs Sale will be over soon... Dec 10th , make sure to grab all the cute stamps now!! See you tomorrow for another fun bloghop with lots of giveaways!!! Welcome to a special WCMD 2014 Winner's Blog Hop!!! As most of you already know that PaperCrafts and Scrapbooking Magazine will be publishing their very last issue this coming February. So the WCMD 2014 winner cards won't be published in the PC&S April 2014 issue. 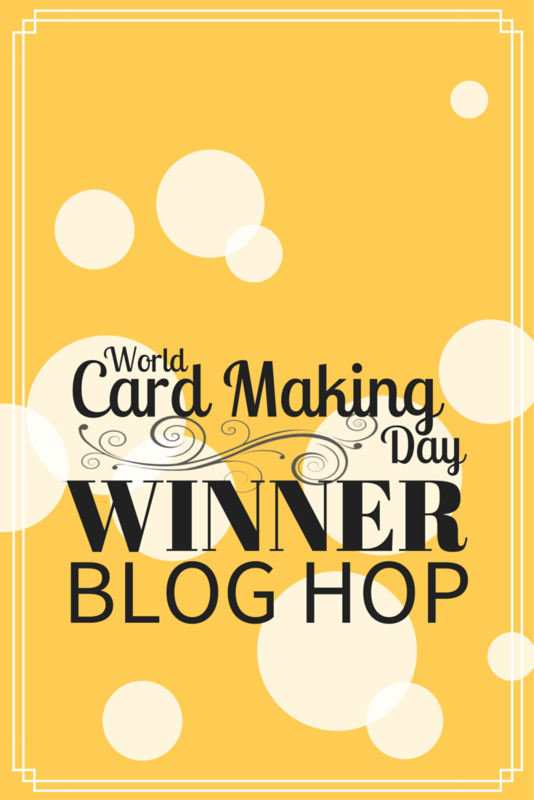 Today we ...the winner's of WCMD 2014 Contest are showcasing our WINNER CARDs in this hop!!! We are also sharing some of the goodies from our PRIZE package. Make sure to hop along and leave some love and enter for the GIVEAWAYS!!! If you have landed from Heather Hoffman 's blog , you are on right track!! If you are joning me now , visit Paper Crafts Magazine Blog to start. I won in the Seasons Greeting Category. I submitted two Chalkboard holiday cards and one of them was selected. I heat embossed the sentiment with white EP ,the leaves with Silver EP and the berries with Red EP. Sponged the edges with white pigment ink and added few mist splatters. I used Heidi Swapp mists. I also added three tiny rhinestones. I looooove chalkboard holiday cards. For this card I used Silver , Gold and white Embossing Powders. I absolutely loooooooooove Waltzing Mouse Stamps. WMS owner Claire Brennan is one of the sweetest person ever, they have great publication incentives too!!! Thank you PC&S team for making me WCMD 2014 winner!!! Thank you Virginia for all the behind the scene help!!! Guess what? I ordered an extra set too! Waltzing Mouse Old Country Roses Stamp set. These giveaways are open for everyone... all around the globe. Please leave me a comment by Dec 10, 2014. Here is the complete hop list , just in case. Hope you all enjoyed yesterday's hop ....if you haven't hopped yet...please check it HERE. Paper Crafts & Scrapbooking Magazine Special Thanks Blog Hop!!! Welcome to Paper Paper Crafts & Scrapbooking Magazine Special Thanks Blog Hop!!! If you’re here from Amy Tsuruta’s blog, you’re on the right track! If not, please start the hop at Jennifer McGuire's Blog – you don’t want to miss anything, right?! Today I'm joining many papercrafters from all around the globe to thank PC& S Team!! Paper Crafts & Scrapbooking magazine has a BIG contribution in making the Designer that I'm today! I still remember the first HAPPY EMAIL from Susan....one of my card was selected for HOLIDAYS CARDS & MORE Vol #6 . With each and every PC & S magazine submission call , my design style evolved, every time I tried harder than before to create my best, so one or more projects get picked for the upcoming issue. I learned all about latest trend & products from PC&S magazine & their blog. My papercrafting world won't be the same without PC&S magazine. .... most happy moments of my life!!!! THANK YOU PC&S Magazine team for everything...all the fame , all the happy moments, all the bragging rights, all the fabulous inspirations and all the great memories I'll treasure throughout my life!!! Thank you for making me a better papercrafter!!! I wish all the PC&S editors and team members all best for their future endeavors!! I'm gonna miss my most favorite papercrafting Magazine a lot!!! Thank you Taheerah for organizing this hop!!! Welcome to CardMaker - Impression Obsession Blog Hop!! 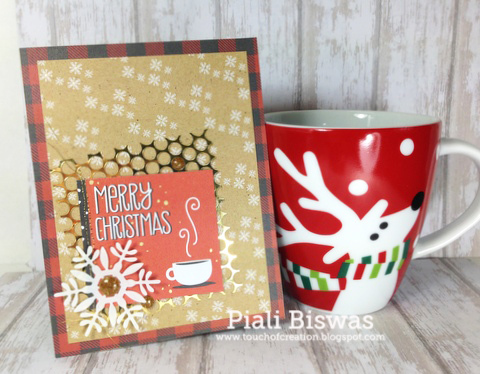 Today we ( CardMaker Blog team) are joining with IO team for festive blog hop. If you are here from Anna Wight's blog you are on the right track, if you are just joining me now please visit CardMaker blog to start from the beginning. I have two cards to share with you all. 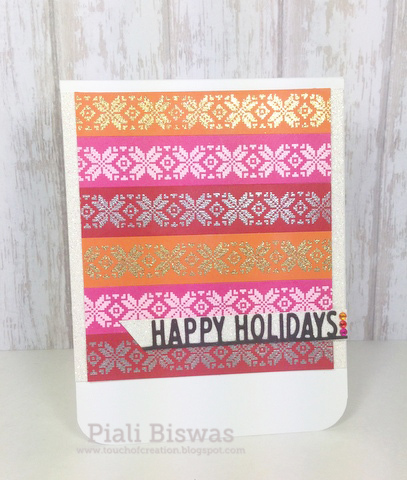 I used IO- Holiday Top Word Edgers dies and IO-Cover-a-Card Nordic Stripes stamp for my cards today. First one is non-traditional holiday card with bright colors. It reminds me of Indian textiles or Sarees. 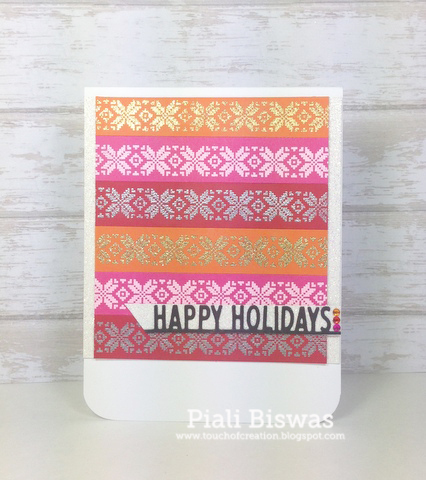 I heat embossed the Cover-a-Card Nordic Stripes background on three colors of cardstock using three different WOW embossing powders. Then trimmed narrow strips and adhered them to make new fun background. I diecut the sentiment out of black cardstock and adhered it to white glittered cardstock. The background is so rich in colors , I just added three tiny matching Doodlebug rhinestones . 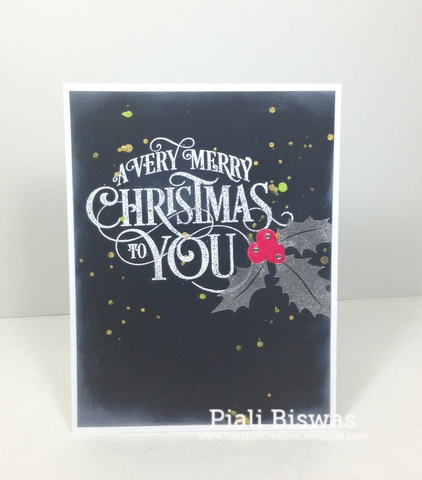 Stamping Sensations - Simply Christmas. Next one is CAS card...can be easily mass produced in different colors. 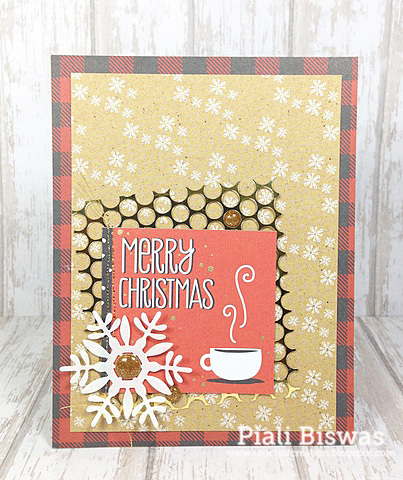 Simply heat embossed the background using WOW white EP. 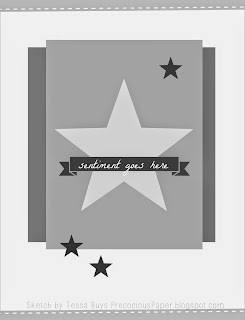 Diecut the sentiment in a slight angle out of glittered cardstock, adhered it on a vellum layer. I'll make a few more of this design in different colors. Crafting When We Can - CAS. Hope you all like these cards!!! Two lucky winners will get $25 Gift Certificate each. Piali Biswas - you're here. Hello & Happy Monday Everyone!!!! Today its my first day as DCWV DT member...YAY!!! Every month DCWV hosts a Stack-a-holic challenge. We have two sketches to play with ...one LO sketch and one CARD sketch. 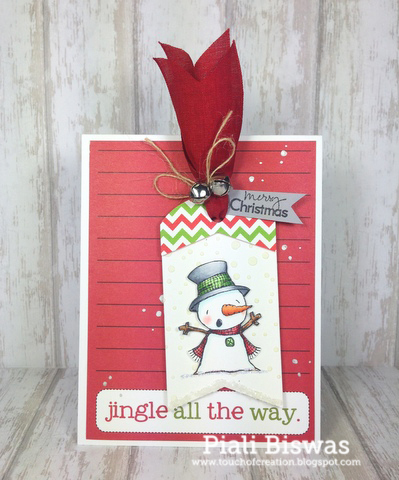 I used the GORGEOUS DCWV Candy Cane Lane stack for this card. Its available in Michaels store. Love this collection , you will lots of card using this collection this year from me. The snowflake die is from Avery Elle, I used DCWV Glitter paper for this diecut. Have you seen the DCWV BLING sheets yet???? That is one gorgeous stuff...a whole sheet of bling, you can cut them into individual pieces or any shape you want. They come in wide range of colors ..you can also customize it by coloring them with Copics..like I did it today. Creative Corner - Winter Wonderland. Hope you like this card!!! Hop over to DCWV Dairy blog to check out the gorgeous DT creations!! Its time to announce the winner for my GIVEAWAY.. Please email me at piali(dot)biswas AT yahoo(dot) com. Gorgesou CAS card Piali :) I'm LOVING the POD winter owl, and hoping he'll find his way into my Christmas stocking LOL! Thank you Everyone for all your lovely comments !!! See you tomorrow for a fab hop with lots of prizes to win.